It was sometime in the early 1990s when Frank Baylis and I had the privilege of seeing “Gingerwood”, an AGS registered Nigerian Dwarf Buck for the first time. It was instant captivation for both of us. 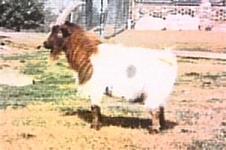 At the time we didn’t know this, but we later learned that Gingerwood was sired by an AGS foundation Nigerian Dwarf Buck named Cheedy, whose sire fainted. Frank and I had met at a dog show years ago and became fast friends. 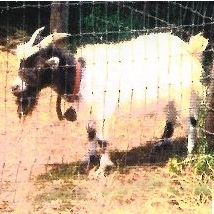 Frank was breeding Tennessee Fainters at the time and I was just exploring the possibility of breeding goats. Frank eventually purchased Gingerwood and crossed him with some small fainters. He produced some small long coated goats, but soon lost interest in the smaller goats and sold the entire mini herd, so that he could once again concentrate on his Tennessee Fainting herd. Shown above from left to right are Gingerwood, Gingerwood, Cheedy and Jessie – Cheedy’s sire. I was with Frank when he purchased 10 Tennessee Fainting Goats, including a long haired, polled buck from a farm in Alabama. Soon long coated offspring started showing up. 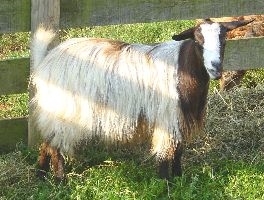 I was now breeding Nigerian Dwarf goats and fighting the urge to breed a cross of the Nigerian Dwarfs and the long haired fainters. I wanted the size of the Nigerians and the look of the fainters. 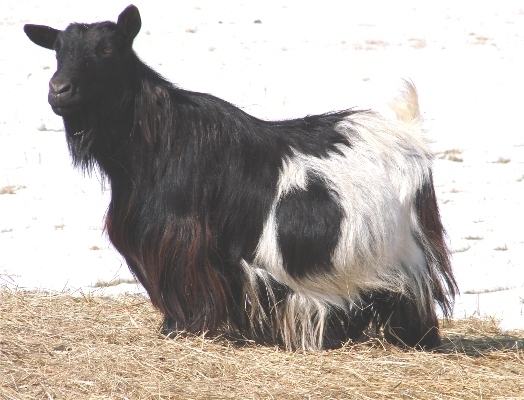 I also thought that the Nigerians could add more color and color patterns; the fainters that I was exposed to were mainly black and white or chocolate and white, which are now my favorite colors because they seem to carry the longest coats. In 1998 Bayshore’s Rogues Pierre and Bayshore’s Napoleon came along and that was it for me, I could no longer resist, the urge was just too strong. So I acquired Pierre and Napoleon from Frank, both of which were staying small and began breeding select Nigerian Dwarf Does that not only had long hair, but that I knew had fainters in their background. We had immediate success with producing long coats and some of the animals actually fainted on the first cross. Not all of them, but a fair percentage of them had both long coats and fainted. With that said, I would like to also say that Mini Silkies are not required to faint, it is the “look” that sets them apart from the other breeds and makes them Mini Silkies, not the fainting. 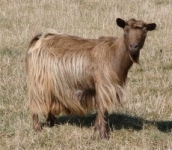 The MSFGA puts no added value on a goat that faints, but does put a premium value on the length of coat, consistency of coat and the amount of facial, neck and body hair that a goat exhibits. Shown above are Bayshore”s Rogues Pierre, Bayshore”s Napoleon Maraco (registered ND), Gypsy (registered ND) and Morgan (registered ND). The four animals above are all first crosses. From left to right is: Sol-Orr”s Ginger, Sol-Orr”s Melody, Sol-Orr”s Latte and Sol-Orr”s Renaissance. Around the year 2000, we sold our farm and bought a new farm with more room for the llamas and goats. We went from 10 acres to 52 acres, a dream come true, really. With all of the moving, remodeling, fence and barn building, the mini silkies were put on the back burner and we didn’t do much breeding for about 3 years. 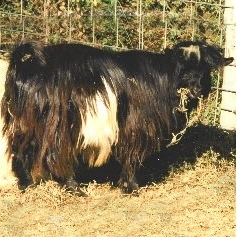 Then in 2003 with the encouragement of friends, I began to re-think and dream about the idea of creating and registering little long coated goats again. I didn’t really care if they fainted or not, I just wanted a certain look and if they fainted that was fine, if they didn’t, that was fine too. With much thought and a lot of help and support from my husband, Steve, I began in the summer of 2004 to put together a herd book, animal application and registration forms to accommodate others who might have long coated goats and desire to develop a breeding program to promote a small long coated breed. 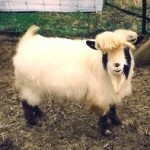 This was the beginning of the Miniature Silky Fainting Goat Association. We wrote a breed standard with the help of other interested breeders, like Janet Shlanta, and Anne McLaughlin. We also created a committee of three for foundation stock approval. 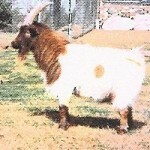 As of now there are more than 3800 goats in the herd book. Some of them are just listed, others are registered as foundation animals and some are fully registered Miniature Silky Fainting Goats. 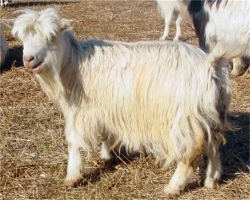 There is a lot of room for those of you who are intrigued and drawn to these enchanting little goats. 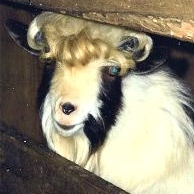 We welcome any of you who might have goats at home that you think would contribute to the development of this new breed. We encourage you to fill out the foundation animal application and submit it with the proper fees to MSFGA. If your goat is approved you will receive a registration certificate. Foundation stock is issued with an F in front of the registration number. 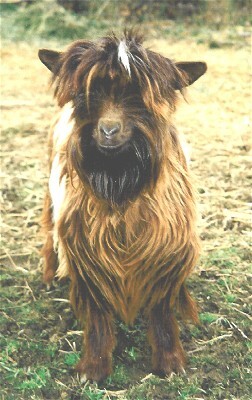 If bred to another registered goat within the MSFGA registry, the offspring are eligible for full registration. We invite all who are interested to come and join us. Links to the various forms and instructions are below as well as the fee schedule. *We now have a Visual Standard which will show you what an Ideal Mini Silky should look like, you can see this page by clicking on the Visual Standard in the menu.